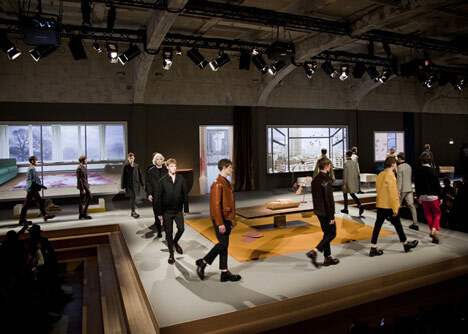 Prada showcased Rem Koolhaas’ OMA angular furniture in the runway show for Prada’s Autumn/Winter ’13 collection at Milan Men’s Fashion Week. 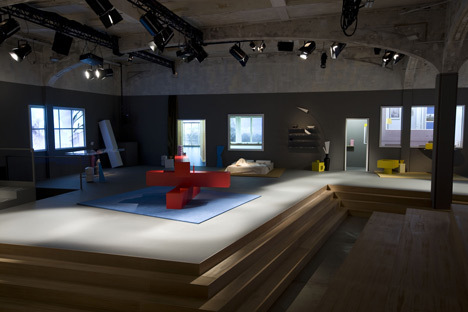 The furniture which appears on the runway is part of the new collection in which OMA are launching this year with American furniture brand Knoll. 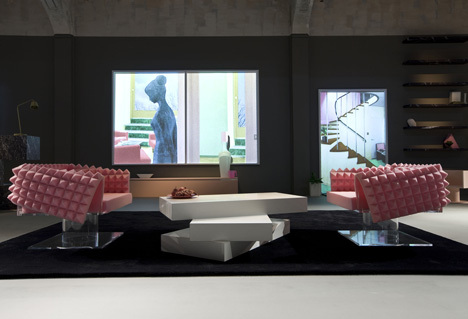 The models weaved through the furniture which comprises of armchairs, luxury rugs and coffee tables which were accompanied with projections of both interior and exterior impressions of doors and windows. 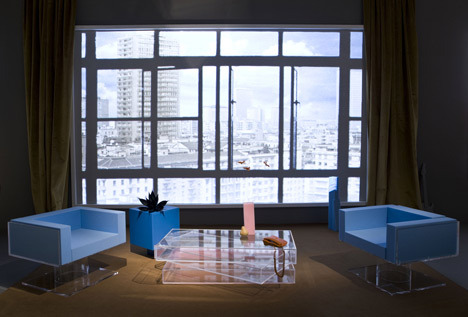 This isn’t the first time OMA and AMO have collaborated with Prada, and nor with this be the last. They have both been working along side each other for over ten years. I really like the furniture they have designed – they are sleek, and on a whole new level in modern interiors which will definitely stand out when Knoll bring the collection out later on in the year. In my opinion, fashion should collaborate with interior design more often because the designers will, without a doubt, bring a wider variety in experience for fashion shows. Both industries can benefit from each other, and this should be recognised more often. This entry was posted in Interiors and tagged Architects, Architecture, Breakthrough, Contemporary, Contemporary Design, Design, Fashion, Fashion Design, Fashion News, Fashion Shows, Interior Design, Interiors, Modern, New, New Finds, Prada, Runways, Show.